Joseph Haydn – Austrian composer. 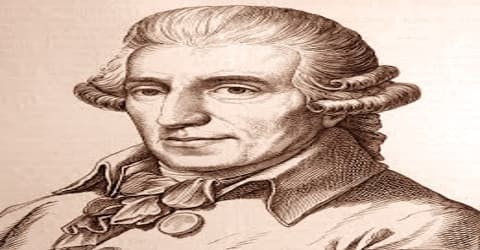 Joseph Haydn, Austrian composer who was one of the most important figures in the development of the Classical style in music during the 18th century, was born on March 31, 1732, in Rohrau, Austria, a village that at that time stood on the border with Hungary. He was instrumental in the development of chamber music such as the piano trio. His contributions to musical form have earned him the epithets “Father of the Symphony” and “Father of the String Quartet”. He was among the creators of the fundamental genres of classical music, and his influence upon later composers is immense. Haydn’s most celebrated pupil was Ludwig van Beethoven, and his musical form casts a huge shadow over the music of subsequent composers such as Schubert, Mendelssohn, and Brahms. One of the most prominent composers of his time, he is fondly referred to as “Father of the Symphony” and “Father of the String Quartet” in recognition of his immense contribution to the musical form. Born as the son of a folk musician, he developed an early interest in music. His musically inclined parents recognized their young son’s talents and arranged for him to acquire musical training. He blossomed into a good singer and performed in a choir while he was a boy. He grew up to be a very talented singer and instrumentalist but faced many struggles in his attempts to get established in a profession. Initially, he worked in a string of jobs without much success before finally finding work as a valet–accompanist for the Italian composer Nicola Porpora from whom he learned the fundamentals of composition. Joseph Haydn spent much of his career as a court musician for the wealthy Esterházy family at their remote estate. Until the later part of his life, this isolated him from other composers and trends in music so that he was, as he put it, “forced to become original”. Yet his music circulated widely, and for much of his career, he was the most celebrated composer in Europe. He was a friend and mentor of Mozart, a tutor of Beethoven, and the older brother of composer Michael Haydn. 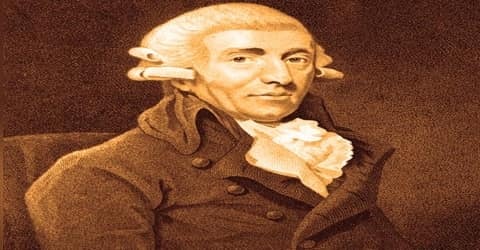 Haydn did not receive systematic training in musical theory; he self-educated himself by studying the works of prominent composers like Carl Philipp Emanuel Bach, whom he later acknowledged as an important influence. Eventually, he established himself as a famous composer in his own right and was appointed as a court musician of the wealthy Esterházy family. 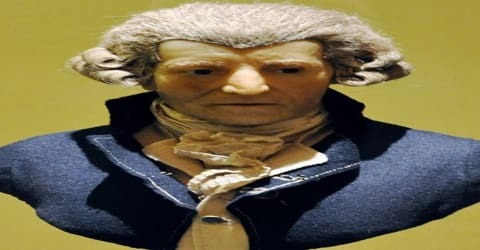 Joseph Haydn, in full Franz Joseph Haydn, was born on 31st March 1732 in Rohrau, Austria to Mathias Haydn, a wheelwright, and his wife, Maria who used to work as a cook before marriage. Both of his parents, especially his father loved music and Mathias was also a folk musician who had taught himself to play the harp. According to Haydn’s later reminiscences, his childhood family was extremely musical and frequently sang together and with their neighbors. Haydn’s parents had noticed that their son was musically gifted and knew that in Rohrau he would have no chance to obtain serious musical training. It was for this reason that, around the time Haydn turned six, they accepted a proposal from their relative Johann Matthias Frankh, the schoolmaster and choirmaster in Hainburg, that Haydn be apprenticed to Frankh in his home to train as a musician. Haydn, therefore, went off with Frankh to Hainburg 12 kilometers (7.5 mi) away; he never again lived with his parents. Haydn was recruited at age 8 to the sing in the choir at St. Stephen’s Cathedral in Vienna, where he went on to learn to play violin and keyboard. After he left the choir, he supported himself by teaching and playing the violin, while studying counterpoint and harmony. He moved to Vienna in 1740 and stayed at the choir school for nine years during which he acquired a lot of practical knowledge through performing but had little training in musical theory. Over the years he physically matured and by 1749 his voice broke and he was no longer able to sing high choral parts. He was then expelled from the cathedral choir and the choir school. Joseph Haydn’s personal life was a complicated one. In 1760, with the security of a Kapellmeister position, Haydn married. His wife was the former Maria Anna Theresia Keller (1730–1800), the sister of Therese (b. 1733), with whom Haydn had previously been in love. Haydn and his wife had a completely unhappy marriage, from which time permitted no escape. They produced no children, and both took lovers. Hayden had a long term affair with Luigia Polzelli, a young Italian mezzo-soprano in the prince’s service. With no money and few possessions, Joseph Haydn at 17 was left to his own devices. He found refuge for a while in the garret of a fellow musician and supported himself “miserably” with odd musical jobs. He meanwhile undertook an arduous course of self-instruction through the study of musical works notably those of Carl Philipp Emanuel Bach and of leading manuals of musical theory. A fortunate chance brought him to the attention of the Italian composer and singing teacher Nicola Porpora, who accepted him as accompanist for voice lessons and corrected Haydn’s compositions. By 1749, Joseph Haydn had matured physically to the point that he was no longer able to sing high choral parts. Empress Maria Theresa herself complained to Reutter about his singing, calling it “crowing”. One day, Haydn carried out a prank, snipping off the pigtail of a fellow chorister. This was enough for Reutter: Haydn was first caned, then summarily dismissed and sent into the streets. He had the good fortune to be taken in by a friend, Johann Michael Spangler, who shared his family’s crowded garret room with Haydn for a few months. Haydn immediately began his pursuit of a career as a freelance musician. Since he did not receive any systematic training in musical theory while at the choir school, he embarked on a journey of self-education by studying the works of prominent composers and by practicing the exercises given in manuals of musical theory. Hayden was eventually introduced to the music-loving Austrian nobleman Karl Joseph von Fürnberg, in whose home he played chamber music. For the instrumentalists there he wrote his first string quartets. In 1752, he caught the attention of the Italian composer and singing teacher Nicola Porpora, who accepted him as valet–accompanist. It was there that he learned the true fundamentals of composition. His skills developed over time and soon he started writing music along with playing instruments. One of his first compositions, the opera, ‘Der krumme Teufel’ (“The Limping Devil”) was first premiered in 1753 with great success. Between 1754 and 1756 Haydn also worked freelance for the court in Vienna. He was among several musicians who were paid for services as supplementary musicians at balls given for the imperial children during carnival season, and as supplementary singers in the imperial chapel (the Hofkapelle) in Lent and Holy Week. In 1756, Baron Carl Josef Fürnberg employed Haydn at his country estate, Weinzierl, where the composer wrote his first string quartets. Fürnberg later recommended Haydn to Count Morzin, who, in 1757, became his first full-time employer. Through the recommendation of Fürnberg, in 1758 Haydn was engaged as musical director and chamber composer for the Bohemian count Ferdinand Maximilian von Morzin. Haydn was put in charge of an orchestra of about 16 musicians, and for this ensemble, he wrote his first symphony as well as numerous divertimenti for wind band or for wind instruments and strings. These early musical compositions were still conventional in character, yet a certain freshness of melodic invention and sparkle marked them as the work of a future master. As a “house officer” in the Esterházy establishment, Haydn wore livery and followed the family as they moved among their various palaces, most importantly the family’s ancestral seat Schloss Esterházy in Eisenstadt and later on Esterháza, a grand new palace built in rural Hungary in the 1760s. 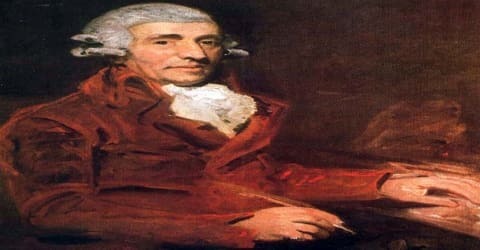 Haydn had a huge range of responsibilities, including composition, running the orchestra, playing chamber music for and with his patrons, and eventually the mounting of operatic productions. Despite this backbreaking workload, the job was in artistic terms a superb opportunity for Haydn. The old Kapellmeister, Gregor Werner, died in 1766 and Haydn was elevated to full Kapellmeister. He served the Esterházy family for nearly three decades and greatly raised the quality of the prince’s musical ensembles by appointing a number of gifted instrumentalists and singers. Much of Haydn’s activity at the time followed the musical taste of his patron Prince Nikolaus. In about 1765, the prince obtained and began to learn to play the baryton, an uncommon musical instrument similar to the bass viol, but with a set of plucked sympathetic strings. Haydn was commanded to provide music for the prince to play, and over the next ten years produced about 200 works for this instrument in various ensembles, the most notable of which are the 126 baryton trios. In 1766 Joseph Haydn became musical director at the Esterházy court. He raised the quality and increased the size of the prince’s musical ensembles by appointing many choice instrumentalists and singers. His ambitious plans were supported by Prince Miklós, who, on the death of his brother in 1762, had become head of the Esterházy family. He was able to appreciate Haydn’s musical contributions and created an atmosphere conducive to the development and maturing of Haydn’s art. In addition to composing operas for the court, Haydn composed symphonies, string quartets, and other chamber music. The prince was a passionate performer on the baryton, and Haydn provided for his patron more than 150 compositions featuring this now-obsolete cellolike instrument. Haydn served Prince Miklós for nearly 30 years. 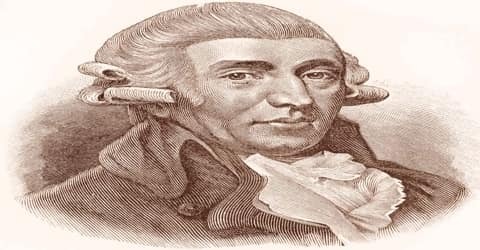 Haydn not only composed operas for the court, but also composed symphonies, string quartets, and other chamber music. During his career with the prince, he frequently traveled to Vienna and met Wolfgang Amadeus Mozart on one of these trips. The men developed a close friendship and found inspiration in each other’s work. Around 1775, the prince abandoned the baryton and took up a new hobby: opera productions, previously a sporadic event for special occasions, became the focus of musical life at court, and the opera theater the prince had built at Esterháza came to host a major season, with multiple productions each year. 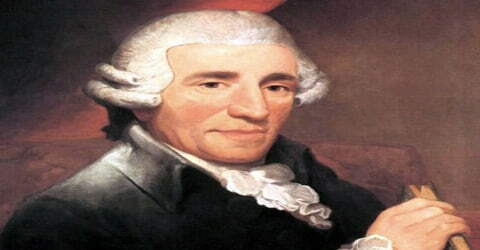 Haydn served as a company director, recruiting and training the singers and preparing and leading the performances. He wrote several of the operas performed and wrote substitution arias to insert into the operas of other composers. In 1784 Joseph Haydn revised Tobia for another Viennese performance, adding choral numbers and cutting back on some of the extended da capo structures, a clear sign that he was well aware of changing sensibilities. In mid-decade as well came a commission from Paris to compose a set of symphonies, and Haydn’s resulting “Paris” symphonies are a landmark of the genre. It was also about this time that he received the commission to compose the Seven Last Words of Our Saviour on the Cross; for the incorrigibly cheerful Haydn, writing seven successive dour movements was a particularly difficult undertaking, but the effort resulted in one of his most admired works. The head of the Esterházy family, Prince Nikolaus, died in 1790 and was succeeded by his son, Prince Anton. The new prince had no interest in music and dismissed most of the court musicians. However, he retained Haydn though he was no longer assigned any important duty. This gave Haydn ample time to pursue his personal musical interests. While Haydn rose in the Esterházy family’s esteem, his popularity outside the palace walls also increased, and he eventually wrote as much music for publication as for the family. Several important works of this period were commissions from abroad, such as the Paris symphonies (1785-1786) and the original orchestral version of “The Seven Last Words of Christ” (1786). Haydn came to feel sequestered and lonely, however, missing friends back in Vienna, such as Wolfgang Amadeus Mozart, so in 1791, when a new Esterházy prince let Haydn go, he quickly accepted an invitation to go to England to conduct new symphonies with German violinist and impresario Johan Peter Salomon. He would return to London again in 1794 for another successful and lucrative season. 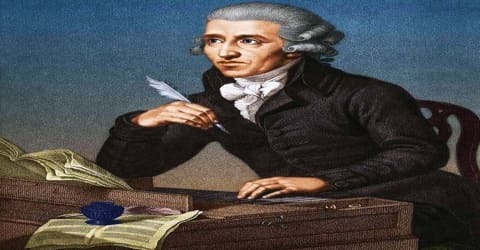 By 1790 Haydn was in the paradoxical position … of being Europe’s leading composer, but someone who spent his time as a duty-bound Kapellmeister in a remote palace in the Hungarian countryside.” The new publication campaign resulted in the composition of a great number of new string quartets (the six-quartet sets of Op. 33, 50, 54/55, and 64). Haydn also composed in response to commissions from abroad: the Paris symphonies (1785–1786) and the original orchestral version of The Seven Last Words of Christ (1786), a commission from Cádiz, Spain. Haydn embarked on a trip to England in 1791 and spent several months there. He met eminent musicians and received much respect from the English for his works. In mid-1792 he left for Germany where he met a young Ludwig van Beethoven and soon realized the potential he possessed. Haydn invited the young man to come to Vienna and receive musical instruction from him. Accordingly, Beethoven moved to Vienna in 1792 and began studying with Haydn. The many operas Haydn wrote during these years did much to enhance his own reputation and that of the Esterházy court. Among his other important works from this period are the string quartets of Opus 20, the Piano Sonata in C Minor, and the symphonies in minor keys, especially the so-called Trauersymphonie in E Minor, No. 44 (“Mourning Symphony,” so named because its slow movement, which was a particular favorite of the composer, was performed at a memorial service for Haydn) and the “Farewell” Symphony, No. 45. For reasons that have no historical grounding, this has come to be known as Haydn’s Sturm-und-Drang (“storm and stress”) period, after a literary movement that came somewhat later; however inapt historically, the term does describe the character of many of these works and in fact has come to stand for the turgid style they so often exhibit. By the late 1790s, Prince Anton had died and was succeeded by Nikolaus II. The new prince wanted to revive the Esterházy musical establishment and requested Haydn to serve again as Kapellmeister. Haydn took up the position on a part-time basis. By the time he arrived on his second journey to England, (1794–1795), Haydn had become a familiar figure on the London concert scene. The 1794 season was dominated by Salomon’s ensemble, as the Professional Concerts had abandoned their efforts. The concerts included the premieres of the 99th, 100th, and 101st symphonies. For 1795, Salomon had abandoned his own series, citing difficulty in obtaining ‘vocal performers of the first rank from abroad’, and Haydn joined forces with the Opera Concerts, headed by the violinist Giovanni Battista Viotti. These were the venue of the last three symphonies, 102, 103, and 104. Joseph Haydn returned to Vienna in 1795 and took up his former position with the Esterházys, although only part-time. At this point, he was a public figure in Vienna, and when he wasn’t at home composing, he was making frequent public appearances. In 1797 Haydn gave to the Austrian nation the stirring song “Gott erhalte Franz den Kaiser” (“God Save Emperor Francis”). It was used for more than a century as the national anthem of the Austrian monarchy and as the patriotic song “Deutschland, Deutschland über alles” (“Germany, Germany Above All Else”) in Germany, where it remains the national anthem as “Deutschlandlied.” The song was so beloved that Haydn decided to use it as a theme for variations in one of his finest string quartets, the Emperor Quartet (Opus 76, No. 3). In collaboration with his librettist and mentor Gottfried van Swieten, and with funding from van Swieten’s Gesellschaft der Associierten, he composed his two great oratorios, The Creation (1798) and The Seasons (1801). Both were enthusiastically received. He also composed instrumental music: the popular Trumpet Concerto, and the last nine in his long series of string quartets, including the Fifths, Emperor, and Sunrise. “The Seasons broke my back,” Haydn is reported to have said; and indeed, apart from the last two masses of 1801 and 1802, he undertook no more large-scale works. During the last years of his life, he was apparently incapable of further work. Haydn’s final days were hardly serene, as in May 1809 the French army under Napoleon launched an attack on Vienna and on 10 May bombarded his neighborhood. According to Griesinger, “Four case shots fell, rattling the windows and doors of his house. As a successful and respected composer, he had become quite wealthy by his later years. He was well cared for by his servants during the last years of his life and died peacefully on 31 May 1809, aged 77. He was buried two days later. On 15 June, a memorial service was held in the Schottenkirche at which Mozart’s Requiem was performed. Haydn’s remains were interred in the local Hundsturm cemetery until 1820 when they were moved to Eisenstadt by Prince Nikolaus. His head took a different journey; it was stolen shortly after burial by phrenologists, and the skull was reunited with the other remains only in 1954. Joseph Haydn was a prolific composer with 104 Symphonies, 32 Piano Trios, 62 Piano Sonatas, and more than 90 String Quartets to his name. One of his most popular String Quartet is the ‘Emperor Quartet’ Op.76 No.3 which uses the theme from the anthem ‘God Save Emperor Francis’. It later became the melody for the Austrian national anthem and then the German national anthem.